Create Your Color Contest – Win a trip for 2 to Australia! We have narrowed it down to our top 5 contenders and after many wonderful entries and colors, the winners have been picked. These top 5 colors chosen will now be manufactured by Matisse Derivan in Australia and will be offered for sale on the Jerry’s Artarama website. 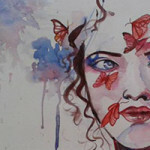 Each of these 5 entrants will recieve a $250 eGift Card to Jerrysartarama.com. A Grand Prize Winner will be determined by sales. Whichever of the Top 5 Colors sells best over the first 8 months of availability will be the winner of the trip for 2 to Australia. Matisse Derivan and Jerry’s Artarama want to help you solve this problem! But first they need your help. Matisse is the premier maker of the finest line of acrylic paints. Using any brand or combination of brands of acrylic paints, you can help them find the perfect new color for their palette and sold exclusively on the Jerry’s Artarama web site. 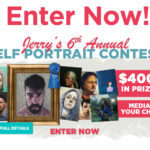 If you have mixed the perfect color, you can enter it for a chance to be sold in stores and more importantly- win a trip for 2 to Australia, valued at over $7,000 sponsored by Jerry’s Artarama and Matisse Derivan. Make sure you have all of the following items prepared, then enter the art contest here and fill out the contest entry form. 1 Photo of the color swatch for your created color. 1 Photo of a piece of artwork you painted using your color. A detailed list of all colors used to mix your custom color. 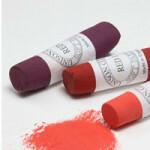 Please include brand name, color name and any pigment numbers or other identifying features found on the paint tubes. Optional: A video that shows you mixing/making your color with an explanation of how and why it was created. Upload your video to youtube, then copy the link to the video and paste it into the contest entry form. After all entries have been submitted on the Jerry’s website contest page (art contests), the color swatches will be posted to Facebook where our fan community will have the chance to vote for their favorites. 10 colors will be chosen by our fans and your friends on Facebook. 10 other colors will be chosen by jury. From there, a separate jury of professional artists who will narrow it down to the top 5 colors which will be manufactured and will be excitingly put up for sale exclusively on Jerrysartarama.com. We will then feature the top 5 winning colors on our website. Whichever color sells the best over the first 8 months of availability will be the grand prize winner of the trip to 2 to Australia! Contest runs from January 9th-March 30th, 2014. For full contest rules and details, visit www.jerrysartarama.com and search keyword “CREATE YOUR COLOR.” Let us know what colors you plan to enter in the comments below!